Enter the Green Man, singing ancient songs of Spring. Thanks for this comment, Chalazon. You are right, or rite, on. For this is the very essence of the Green Man and Wild Man featured in the National Geographic article referenced in my last post. Wild in the sense of being of and associated with nature and the natural world, both plant and animal. 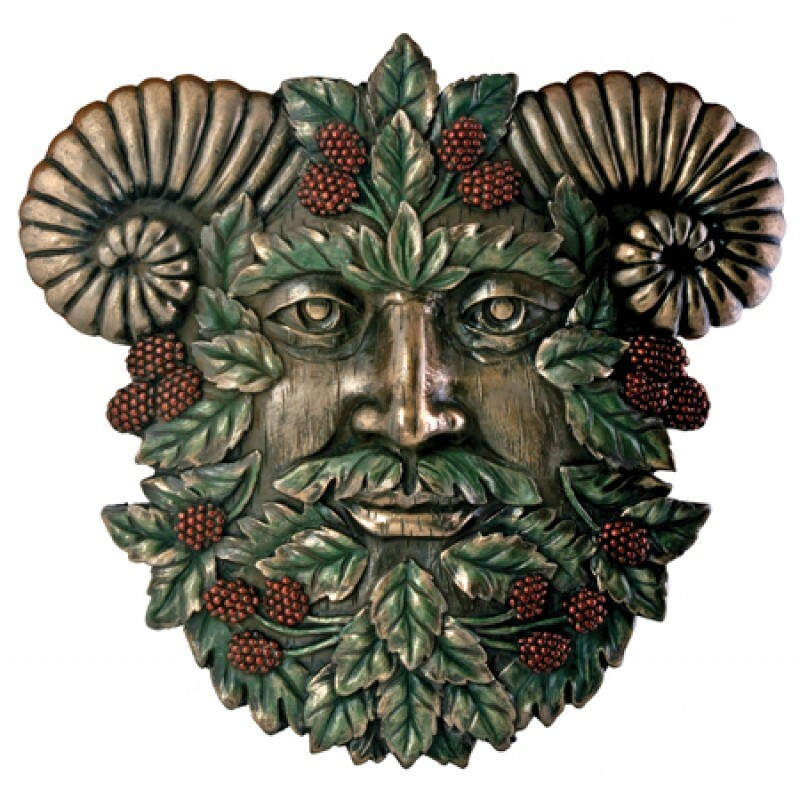 Green Man is always a glory of plant life and generally horned, honoring the stag or ram. He is both potent and powerful. Too powerful and too popular, it turned out, for the christian clergy. 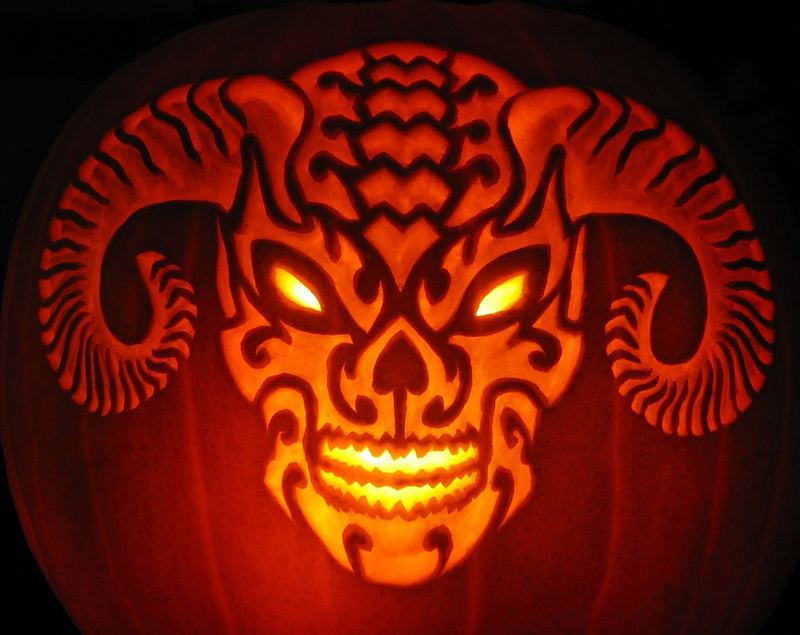 Try as they did, they were not able to purge Green Man from the spirituality, culture, traditions or very psyche of the people. Finding themselves on the horns of a dilemma, figuratively and literally, they set out to change the story. And they were good at stories. Ceding to popular belief of a divine mystery and mysticism surrounding Green Man, they created the story of his being a fallen angel. This was the same strategy used for the Tuatha Dé Danann of Ireland which I wrote about in an earlier post, A Tragic Solution. 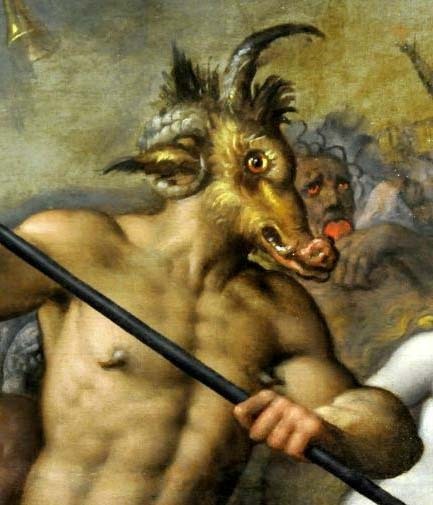 The moniker of fallen angel shifted to devil and as his story changed so did his image, especially in Christian art like this painting on the right from the 16th century. The plants are gone but the horns remain. It was only a matter of time before beloved Green Man turned from green to red – though fortunately not for everyone. This entry was posted in Uncategorized and tagged In Relationship With The Earth, In Relationship With The Sacred by judithnilan. Bookmark the permalink.